Yes. KERDI is suitable for use in intermittent use steam showers. 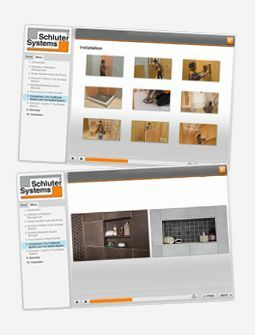 Schluter®-KERDI-DS is required for continuous use steam rooms. KERDI is 8-mil thick and has a water vapor permeance of 0.90 perms when tested according to ASTM E96, using procedure E at 90% relative humidity. KERDI-DS is 20-mil thick and features additives to produce a water vapor permeance of 0.18 perms when tested using the same method and conditions.